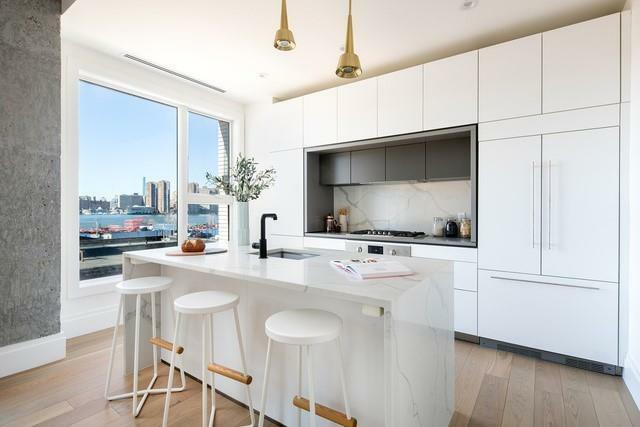 174 West is the newest addition to the Greenpoint waterfront. 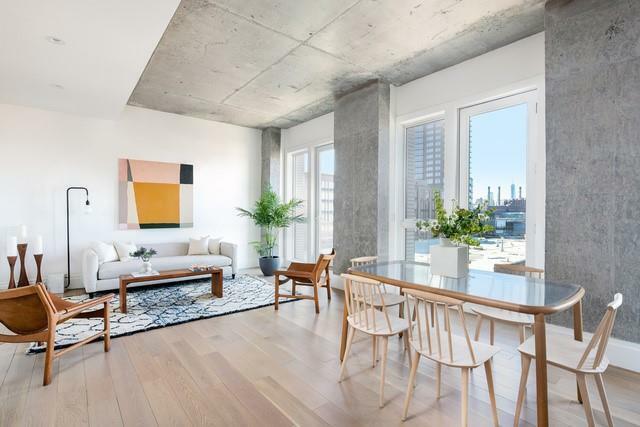 This boutique building of just 5 residences offers sweeping views of the East River and industrial chic design. The exposed concrete ceilings are juxtaposed with sleek, custom kitchens, and refined, luxurious finishes throughout.The 4 bed/3 bath Penthouse at 174 West occupies the top two full floors of this brand-new condominium and offers incredible open views of the East River and Manhattan and Brooklyn skylines in all directions. 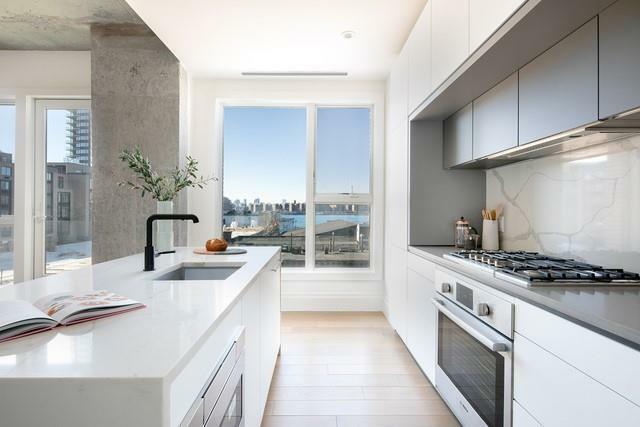 The keyed elevator opens into the loft-like living/dining space with 10-foot ceilings and 3 massive windows flooding the home with natural light. The well-appointed kitchen features caesarstone countertops, Ibiza white backsplash and sleek custom cabinetry. 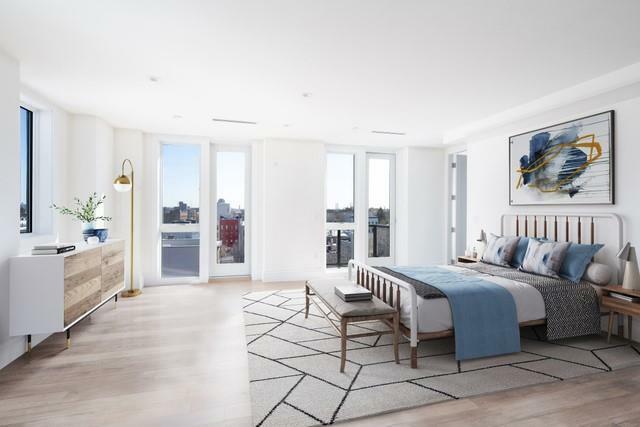 Each of the three bedrooms on the main floor have their own balcony and great closet space.The second floor of the home is almost all windows including a jaw-dropping picture window framing the Manhattan skyline above the staircase. A huge terrace with a gas BBQ faces the River with an attached indoor den space perfect for indoor/outdoor entertaining. And then, there's the Master Suite - a truly spectacular space. While the proportions are grand, the space feels intimate and unique with amazing light and views from all 5 windows. The ensuite bathroom features the largest tub we have ever seen a steam shower and even its own balcony!174 West sits in the middle of the rapidly changing Greenpoint Waterfront. Just a short block from the ferry, you can enjoy a breezy commute to Manhattan (very good for the soul!). The building is also just one block from the shops and restaurants on Franklin Ave and just a short walk to the Greenpoint G train stop. Greenpoint offers a fantastic quality of living, blending waterfront light and views with a dynamic and diverse Brooklyn neighborhood vibe.